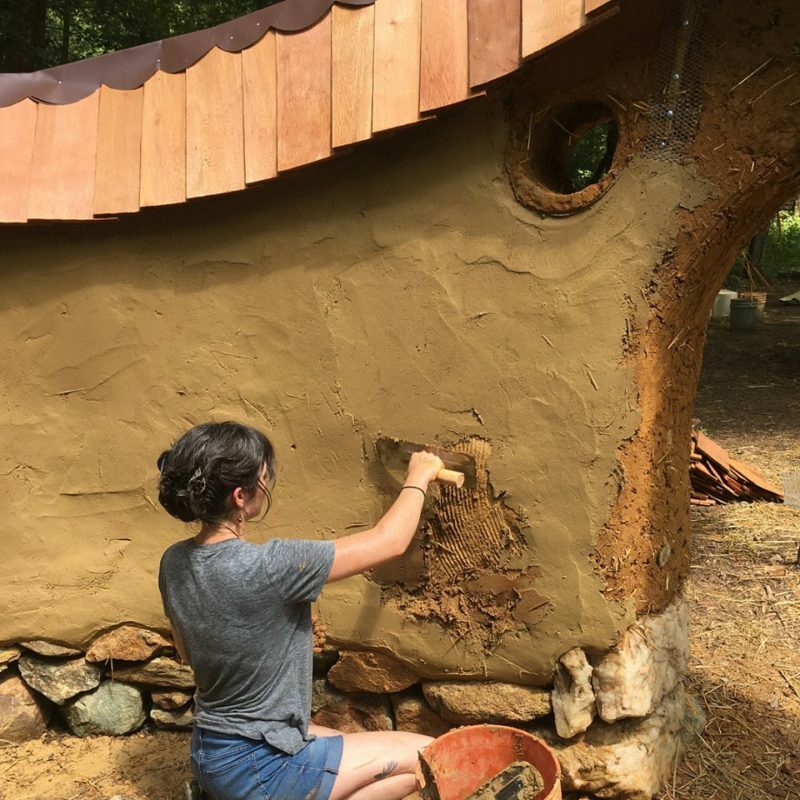 This workshop is focused on hands-on building and learning with natural materials. Our project is the construction of a timber framed outdoor kitchen, with a cob wall supporting the counter-top. We will spend our mornings learning carpentry and building the roof structure with wood. 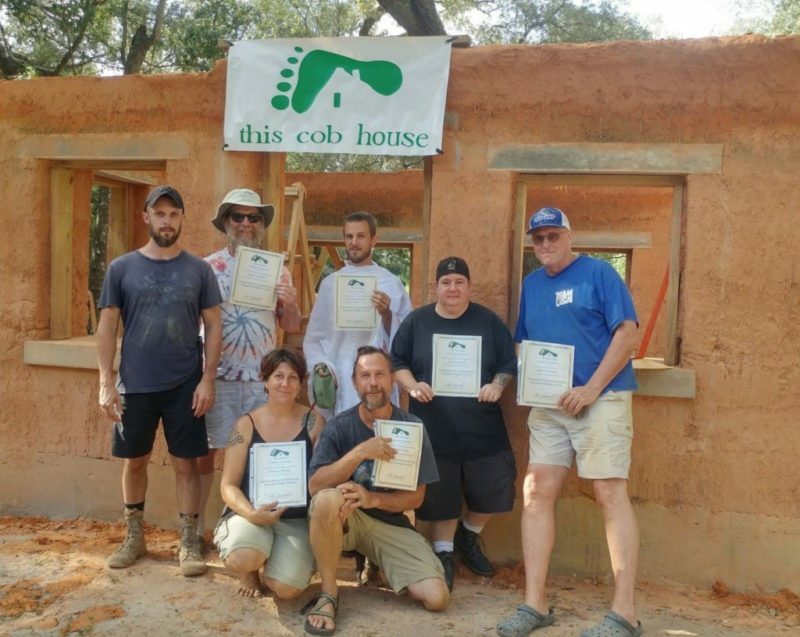 Our afternoons will focus on cob building and finishing cob with earth and lime plasters. 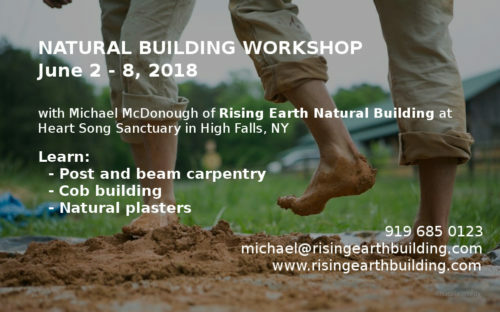 There will also be opportunities to explore straw bale building and earth floors. As well as explore the existing natural buildings on site. Expect a rich week of natural and community building with the group. We’ll work, learn, eat,and relax with each other in a positive, hard-working, fun atmosphere. 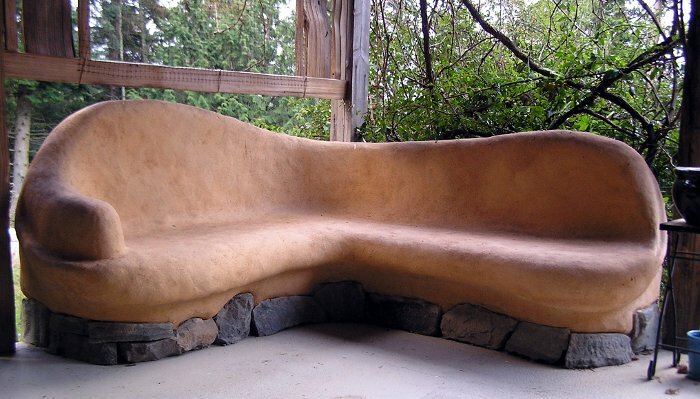 Conversation on natural building will provide constant background chatter throughout the week. Our cook will lovingly provide three delicious, healthy, filling meals a day. Evening are unscheduled so folks have time to enjoy the site, explore nearby towns, or relax around the fire.